Construction – Rugged steel with tread plate surface protects animals and handlers from accidental slips and falls. Adjustable foot pads allow scale to work effectively on uneven floors. 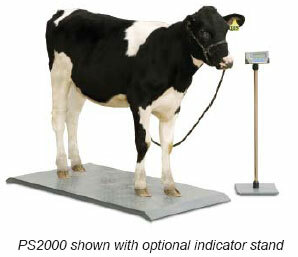 A very touch livestock scale.